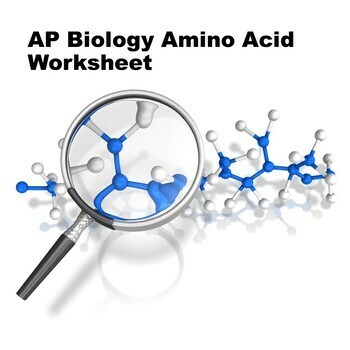 Students will draw amino acids from their notes. 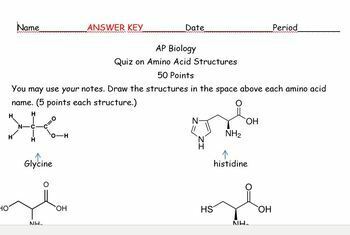 A good way to check student knowledge of how to draw organic structures. 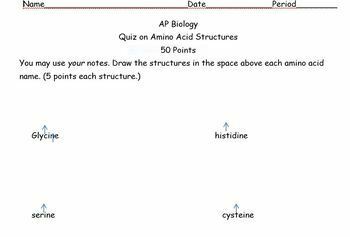 Modify for use as a Quiz or a worksheet - or both!